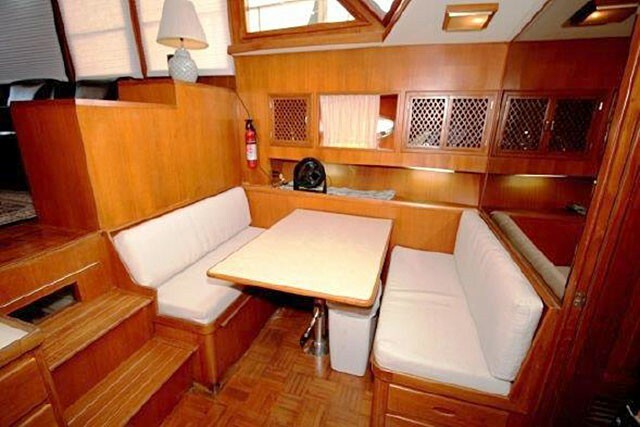 This traditional trawler features, finely crafted teak cabinetry and finishing throughout. The spacious and light-filled salon with teak parquet flooring is fitted with a lower helm station, comfortable seating and flat screen TV. 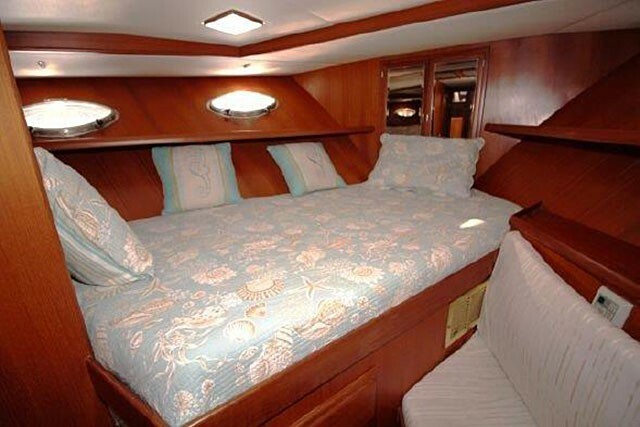 Steps lead aft to the luxurious master stateroom featuring a king island berth, hanging locker, plentiful drawer storage, and en suite head with shower stall. 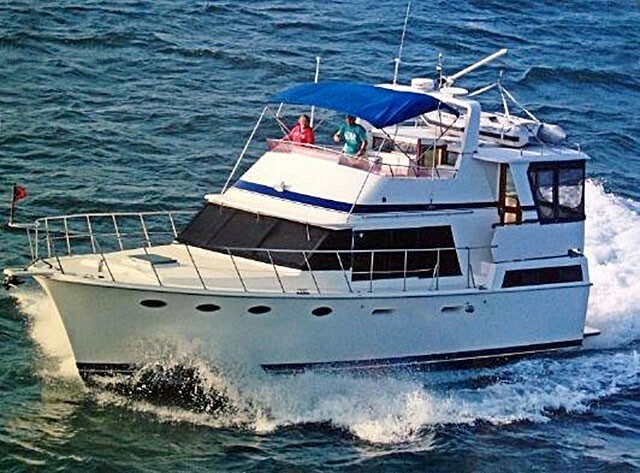 Steps lead forward from the salon to the efficient galley, equipped with refrigerator/freezer, 3-burner electric stove/oven, double stainless steel sink, microwave and plenty of storage space. A convertible dinette is positioned to starboard. To port is the guest head. 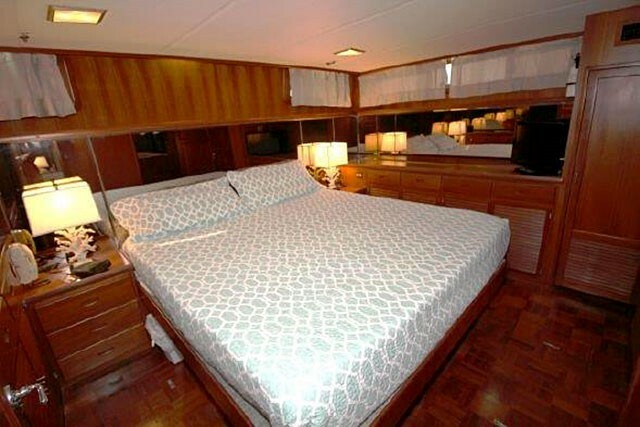 Forward is the comfortable guest stateroom, arranged with a port-side double berth, complimented by a starboard settee, and ample cabinetry and drawer storage. Enjoy leisurely cruising from the expansive flybridge with helm seat, bimini, and generous seating areas. Electronics include GPS chartplotter, radar, depthsounder, and VHF radio. 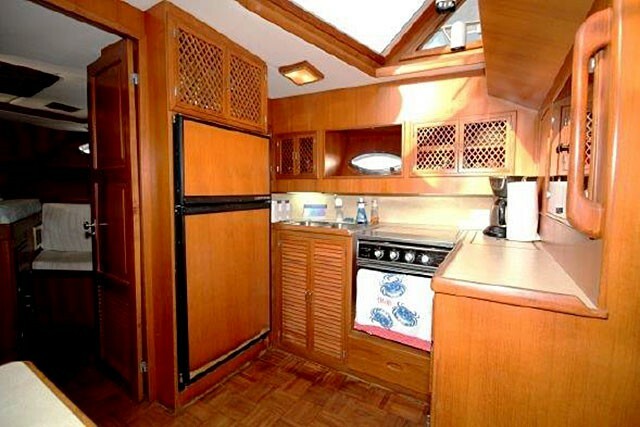 The aft deck with hardtop offers teak decks, and a wet bar with icemaker. Wide side decks provide safe passage leading forward to the bow and anchor windlass. 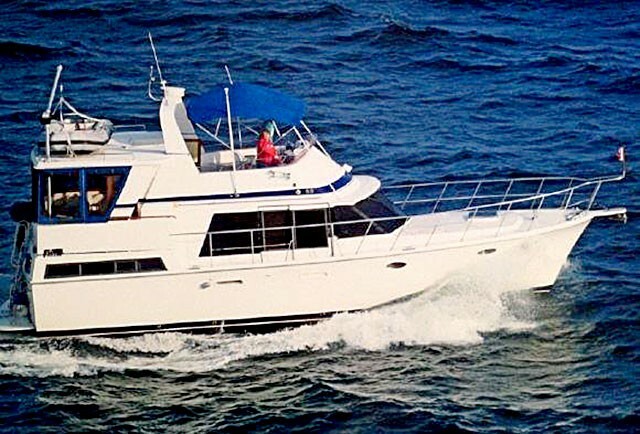 "Andiamo" is a great choice for relaxed cruising! !